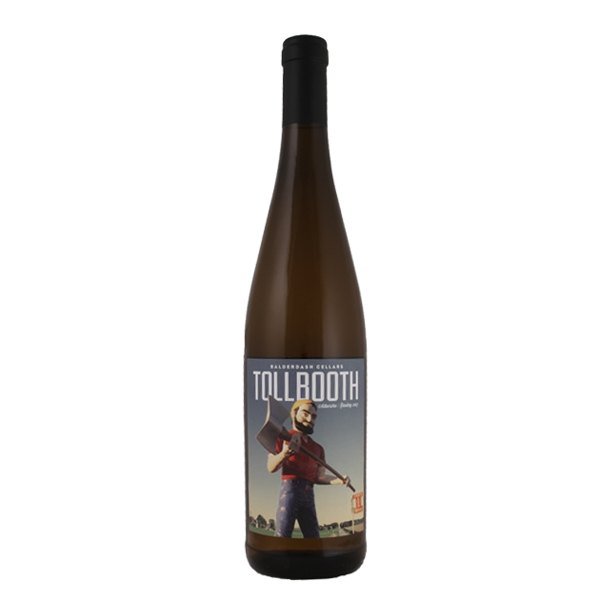 TollboothTM Riesling is a great example of an off-dry wine balanced with just the right amount of acidity. A bright and unique blend of Riesling and Gewürztraminer grapes. Its not-too-sweet profile is open to a wide range of culinary adventures (think spicy or asian). However, keep it more low key and just enjoy while stopping for a scenic view and picnic. Tollbooth is named in homage to family vacations viewed from the station wagon’s way-back seat. While growing up, Christian’s family was like so many others as they took advantage of long summer days to criss-cross North American in a wooden side panel station wagon. Looking back on the adventures, no day was ever complete without driving past large roadside attractions and hearing the sound of the coins bouncing into the automated tollbooth machines. Paul Bunyan, one of the largest roadside attractions anywhere, made the label to celebrate Christian’s home state of Minnesota.